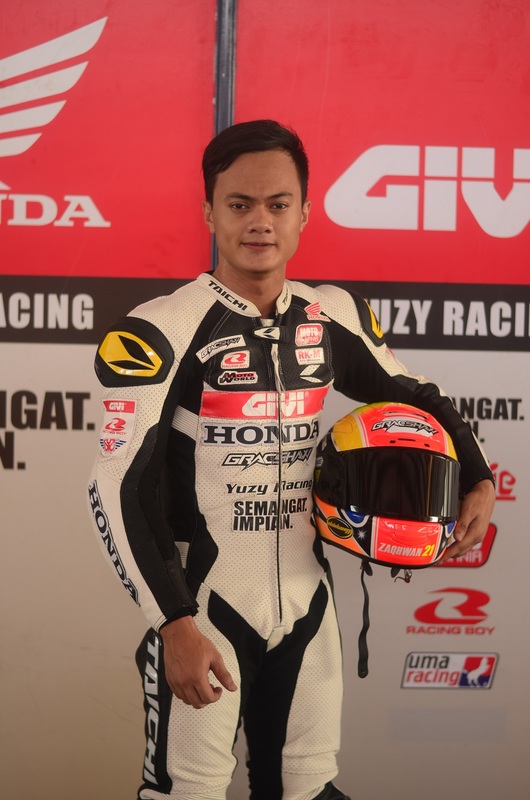 In 2014, he was one of the brightest stars of Malaysian motorcycle racing, tipped as the successor to Azlan Shah Kamaruzaman in the Honda Team Asia GP team. The allure of the world stage beckoned. But fast forward one year later, as the 2015 season comes to a close, Malaysian rider Zaqhwan Zaidi is happy for the opportunity to start his journey afresh. Zaqhwan Zaidi’s bold decision to quit his Moto2 ride courted controversy. However, contractual disputes with the team left the ___-year-old with little choice. “At that point, I really thought that my career was over. I wondered if I would be yet another statistic, joining the ranks of those who had gone prematurely onto the world championships and left holding the remnants of what could have been a glittering career. All I wanted to do was race. But I was beginning to realize that for a rider to achieve his maximum potential, he must be supported wholly by his team,” said Zaqhwan. That was when the youngster reached out to his mentor Shahrol Yuzy and was delighted when Yuzy extended a lifeline. “He (Yuzy) gave his blessings when I wanted to move on to the GP level and when problems arose, he was the one who helped me back on my feet again. You could say that Shahrol Yuzy kickstarted my career twice and I am doubly indebted to him,” Zaqhwan recalled. “Many people expected me to start winning immediately. But a lot had changed in six months. The teams and riders had improved but more importantly, my own riding style had also changed. Riding the Moto2 bike called for more precision and less aggression. As a result, I was a bundle of nerves during my comeback race in Melaka, second guessing my every move. Little wonder that I crashed out of the finals,” Zaqhwan ruefully recapped his DNF result from the Melaka leg of the 2015 PETRONAS AAM Malaysian Cub Prix Championship. However, Zaqhwan has since put those problems behind him, especially after a third place podium in Round 6 in Kangar, Perlis. Inking a deal with Malaysia’s top 600cc team, MUSASHi Boon Siew Honda for the Asia Road Racing Championship also has Zaqhwan feeling hopeful for the future again. As the 2015 PETRONAS AAM Malaysian Cub Prix Championshp draws to a close with only three rounds remaining on the calendar, Zaqhwan heads to Round 8 this weekend at the Malaysia Agro Exhibition Park (MAEPS) still hopeful that he can at least end the season within the top 10. Currently ranked 17th with only 16 points in the bag, Zaqhwan is confident that he will be able to leap-frog over his competitors. “If I succeed, again I will have Shahrol Yuzy to thank. Realizing that I was facing problems getting in tune with the bike again, the team had been organizing non-stop practice sessions just so that I can get back into the groove,” Zaqhwan concluded. 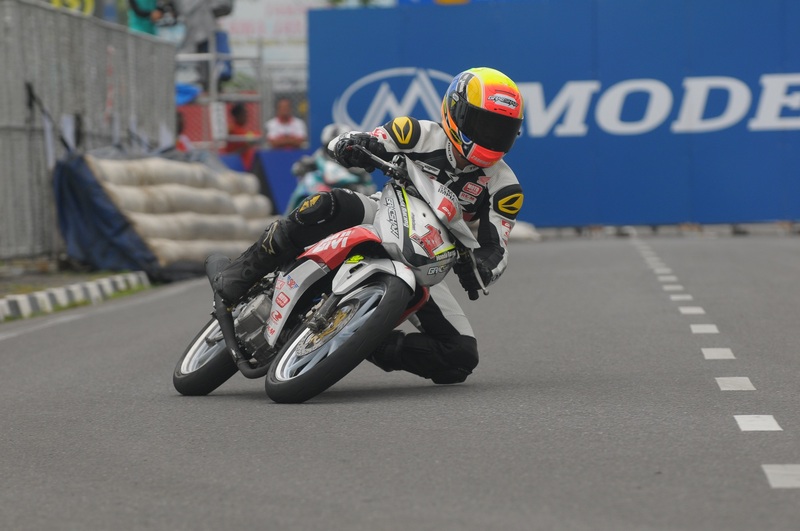 Round 8 of the 2015 PETRONAS AAM Malaysian Cub Prix Championship will take place at the Malaysia Agro Exhibition Park (MAEPS) in Serdang, Selangor this October 17 to 18, 2015. Entry is free to the public.